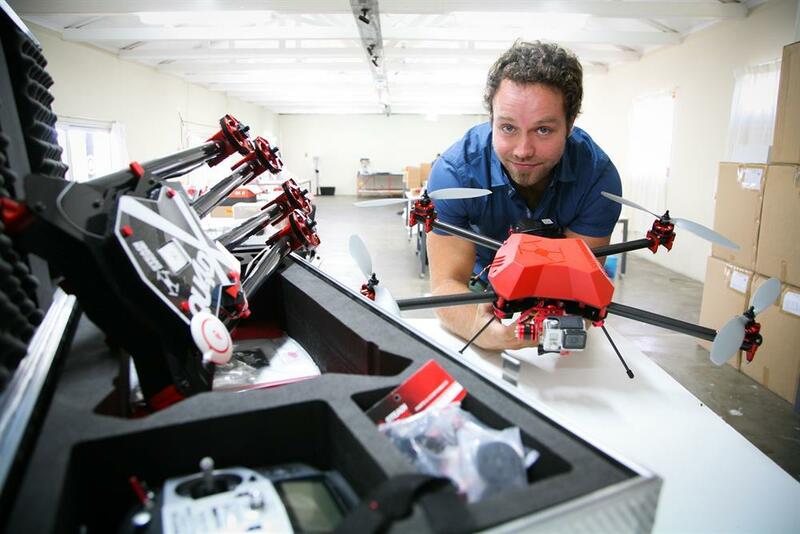 Duran de Villiers, owner of Knysna drone manufacturing enterprise, SteadiDrone. Photo: Ewald Stander. KNYSNA NEWS FLASH - Proudly Knysna drone manufacturer, SteadiDrone will be showcasing the possibilities drones hold as part of International Drone Day on Saturday, March 14. The day was created by David and Sarah Oneal, American online personalities of That Drone Show, to educate the public about the positive ways in which drones are used to better society and to break the stigma that they are used for harming or spying on people. While the event headquarters will be in Las Vegas - where 60 North American teams from 35 states will showcase the uses of drones – SteadiDrone and more than 100 other teams from 50 countries around the world will be participating on home soil. On Saturday, the SteadiDrone team will gather at the Old Drift next to the Knysna River to demonstrate a few of their drones’ flying capabilities and uses. They will be there from 08:00 to 11:00 and encourage residents and visitors to bring a breakfast picnic basket for the show. Read more in tomorrow's Knysna-Plett Herald, and online.